How has the week 5 – 11 September shaped up in Hammer’s history? The doldrums of the International Break is the perfect time to look elsewhere for entertainment rather than seeking it from that collection of expensive labourers masquerading as craftsmen in the national team. The mission that I chose to accept was to travel back in time and forage through the annals of this week in Hammer’s history; here is what I discovered for the period 5-11 September. The first weeks of September over the years have been characterised by an abundance of goals; before early season exuberance on flat, grassy pitches in late summer sunshine gives way to a cold, muddy mid-winter’s slog with floodlights switched on before half-time. This week in history has witnessed some heavy home defeats which includes 1-5 and 2-5 reverses to the ‘scallies’ of Liverpool in both 1965 and 1968; had there been Twitter in 1965 it would have been awash with abuse, as less than a week after the 1965 Liverpool game, came a further 2-5 defeat at home to Leicester. Not a great start to the season for a team that would provide 3 world cup winners the following summer. There have been a fair share of big wins as well though including two which featured rare Bobby Moore goals; home to Wolves in 1964 (5-0) and away to Sunderland in 1967. Other big wins were 6-1 away at Manchester City (1962), a Dave Swindlehurst hat-trick in the 5-2 home hammering of Coventry (1983) and a Frankie Van Der Elst goal in a 5-0 mauling of Birmingham (1982). Goals galore also in two 7 goal thrillers; one being Sam Allardyce’s first home win against Portsmouth in 2011; and the other the 1998 encounter with Wimbledon, which is this week’s featured match. The fourth game of the season saw both teams undefeated going in to the midweek encounter at Upton Park. West Ham had beaten Wimbledon twice the previous season and a repeat performance was anticipated by the expectant home support. The Hammers raced into a 3-0 lead midway through the first half, with goals from John Hartson (7 mins) and Ian Wright (14 and 27 mins) and all seemed to be going to plan despite Marcus Gayle pulling one back for Wimbledon in the 30th minute to make it 3-1 at half time. The second period was a very different affair. After 64 minutes, a defensive miscue from home debutant Javier Margas (he of the claret and blue hair-do) allowed Jason Euell to reduce the arrears to 3-2 and then Gayle struck again in the 77th minute to bring the scores level. Rather than sit back and admire their handywork Wimbledon kept pushing forward for substitute Efan Ekoku to score the winner in one of the most remarkable come-backs seen in the Premier League. A look back as West Ham battle it out with non-league opposition. Never mind the largely predictable World Cup qualifiers, today also sees the arrival of the First Qualification Round of The (Emirates) Football Association Challenge Cup. Still packed with romance for the clubs at the lower end of the football pyramid, dreams of Wembley, or at least a Third Round meeting with a Premier League team, will be at the back of many a non-league player’s mind as they rub in the pre-match White Horse Oil this afternoon. The big question up and down the country is can the ‘minnows’ from Ashby Ivanhoe, Brimscombe & Thrupp or Sporting Bengal United find their way into the bag along with the big boys next January? Littered in West Ham’s FA Cup history have been numerous ‘potential banana skins’ with sadly far too many of them turning out to be real. The litany of tame surrender to lower league teams includes defeats by Tranmere, Torquay, Newport. Plymouth, Hereford, Wrexham, Grimsby and Mansfield (if you were to include League Cup defeats then you have a list longer than a James Collins clearance!). To date, however, we have yet to suffer the embarrassment of defeat to a non-league side and here we look back at our unconvincing yet ultimately successful encounters with clubs from outside the top 4 divisions. Five days later the teams met again at Upton Park. Due to an industrial dispute involving power workers (or it may have miners) the game kicked off at 2:15 on a Monday afternoon – Hereford’s players having to take a day off work to play. I can remember bunking off school to watch and many others had a similar idea with over 42,000 crammed into the Boleyn Ground that day. The opening exchanges were evenly contested with both sides going close but a Geoff Hurst goal just before half time served to settle the nerves. After the break, Hurst notched two more before Hereford scored a late consolation goal through Billy Meadows. Hereford winger Dudley Tyler later joined West Ham for a then non-league transfer record of £25,000. West Ham who had played the same eleven in both 1972 games against Hereford went on to lose 4-2 away to Huddersfield Town in the 5th round. Hereford exacted their revenge two seasons later beating us 2-1 at their ground after a 1-1 draw at Upton Park; but by then had been elected to the Football League. Farnborough Town beat Torquay United in a 2nd Round replay to set up a home tie against West Ham. As Farnborough’s stadium had a capacity of less than 2,500 they agreed to switch the game to Upton Park. West Ham were struggling at the bottom of the First Division (and would ultimately be relegated in last place) and so this was as slippery as banana skin’s came. Farnborough were able to match West Ham in an evenly contested affair with few chances at either end. Just after the hour though Mike Small laid the ball back to Julian Dicks who rifled home right footed from just inside the area. Cue the customary defensive panic as Farnborough strived for an equaliser which eventually came when a goal bound shot was handled on the line by Dicks. Miklosko almost saved the resultant penalty from Dean Coney but the ball squirmed across the line to force a replay. With home advantage (!) for the replay and Kenny Brown drafted into the midfield West Ham were far more dominant in the second game. Apart from some early Farnborough chances it was mainly West Ham pressure with corner after corner but with few clear cut goalscoring opportunities. With the game looking to drift into extra time the Farnborough keeper flapped at yet another cross only for the ball to cannon of a defender and set up a simple chance for Trevor Morley to net the winner; to the palpable relief of the Upton Park crowd. After seeing off 4th Division Wrexham, following a replay in the next round, the Hammers went out as 5th round losers to 2nd Division Sunderland – the eventual losing finalists. I Have a Dream! West Ham make the trip north to face Manchester City at the Etihad Stadium. I had a strange dream last night. No, not that kind of dream! I was appearing on a quiz show and was just being asked the £1 million question. The quiz show itself was a mixture of Who Wants To Be A Millionaire, A Question of Sport, Mastermind and Deal or No Deal. One minute I was facing Chris Tarrant, then Sue Barker, then Magnus Magnusson and then Noel Edmonds. I was sitting on a chair in front of an audience, then I was part of a team with Phil Tufnell, then I was on a black chair in darkness, and finally Noel Edmonds was asking me the question, Deal or No Deal, only to be interrupted by a telephone call from the banker, who then wanted to make me another offer. The question I was being asked was “What Happened Next?” Four football matches were being described to me and I had to select the correct answer to win the money. In the first game West Ham were playing Manchester City and were winning the game 4-1, then in the second game West Ham were again playing City and once again were leading 4-1. In the third game I had the same situation, West Ham were beating Manchester City 4-1 close to the end of the game. And yes you’ve guessed it, the fourth game was exactly the same, we were beating them 4-1. I was confused. I kept telling them there were four different answers. Chris Tarrant wanted to know if I wanted to phone a friend, Magnus said he’d started so he’d finish, Matt Dawson was in fits of laughter, Jeremy Paxman was telling me I’d have to hurry (how did University Challenge get in? ), Noel Edmonds wanted to know if I wanted to swap my box, and the phone was ringing. I told them there were different occasions when we were beating City 4-1, how could I know what one they were referring to? Thankfully, at that point I woke up in a sweat. Yes, it has been very warm at night lately. I can only blame myself. I was thinking about this week’s game at the Etihad and before going to bed I was looking back on previous memorable encounters with City that I remember well. There was the game at Maine Road in 1970 at Maine Road when Jimmy Greaves made his debut for us and scored twice, Ronnie Boyce scored from the half way line and we won the game 5-1, to gain our revenge on a 4-0 home defeat to them just three months earlier. Then there was a game at Upton Park about twelve years later when Sandy Clark scored a brace (don’t you just love that phrase) in a 4-1 win. Then in 1996 Iain Dowie scored a couple of goals as we thrashed them 4-2, again at Upton Park, with Niall Quinn scoring City’s second as the referee blew the final whistle. Lastly in November 2000, we recovered from a half-time 1-0 deficit, with goals from Steve Lomas, Stuart Pearce, Trevor Sinclair (all three of whom ironically have a City connection) and finally a penalty from Paolo in the last minute to record another 4-1 victory. So what will happen on Sunday? We have a mounting injury crisis which shows little sign of ending. Last September when we surprisingly won the away game 2-1 we had the following starting line-up: Adrian, Jenkinson, Tomkins, Reid, Cresswell, Noble, Obiang, Lanzini, Payet, Moses and Sakho. The goals were scored by Moses and Sakho. Antonio, Jelavic and Collins were second half substitutes. It was one of our famous away victories in the last campaign. How times change. How many of that starting line-up will begin Sunday’s game? When the return fixture was played at Upton Park in January, Valencia scored twice in a 2-2 draw, making it four goals that he scored in under a fortnight. How many goals has he scored since that game? In my lifetime I can only ever recall one goalless draw in an away league game at City (in 1994) and I don’t expect another this weekend. I have a feeling that the score may be 4-1, and that we will be on the losing end. I hope not, but our performances to date have not been encouraging. But even if we do lose the game we will still be on three points, exactly the same tally as we had after three games last season. And this time, two of the season’s toughest away games will have been played, whereas last season two of our first three games were at home. Despite Thursday’s poor show, it’s not all doom and gloom. We can dream that it will get better. And congratulations to Adrian on his first call up to the Spanish squad. Perhaps he can keep a clean sheet to celebrate? Just Not Good Enough! When you set out for a walk in the park and end up flat on your face. As Super Slav sat down to select his team and squad to face Romanian champions Astra Giurgiu, he was fully aware of the delicate balancing act needed to win the game and hence qualify for the Europa League group stage, whilst at the same time not compromising his team selection for the difficult away Premier League game at Manchester City on Sunday. He was unable to do this last season but now had a much stronger squad to pick from despite the injuries and unavailable players. Or so we thought. He stated this was his strongest possible team. Captain Mark Noble had a slight knock and was not risked. It was disappointing to see Randolf displayed on the scoreboard instead of Randolph. It was even more disappointing to see Bilic start with just one forward in a home game against a team as poor as this. On eight minutes Calleri, following a superb through ball from Burke, found himself one on one with the keeper and should have scored, but just like the last minute of the Bournemouth game, failed to do so. Full backs Byram and Burke caught the eye early on, and a superb strike from Obiang on 14 minutes came close to breaking the deadlock. But we weren’t showing enough urgency. We were moving the ball too slowly. Surely we weren’t playing for a 0-0 draw? The German referee tried to keep the game flowing when Romanians were committing fouls, but seemed to be pulling us up regularly. Half time had almost arrived when the 35 year old ex-West Brom player Teixeira finished off a slick move reminiscent of one of the Juventus goals a couple of weeks back. Unfortunately the Astra counter attack was created by Byram and Burke perhaps revealing their inexperience. Oh how we longed for the creativity of a Payet, Lanzini, or Feghouli to come off the bench in the second half, but of course none of them were available. Astra had only kept one clean sheet in twelve previous away games in Europe and that was in Scotland at Inverness. Surely it was only a matter of time before we equalised? We raised the tempo early in the second half and Calleri missed a header that Sandra Redknapp would have scored. Fletcher, who was one of the only players who could be happy with his performance, could have had a penalty, and should have scored from six yards but aimed straight at the keeper. But he was only the second choice attacking substitute and had barely half an hour to make his mark. Valencia had come on at half time, but apart from one half decent free kick, just did his usual running down blind alleys. Antonio missed a header, albeit not as easy as you might think, from about four yards out. We continued to press forward, but a long time before the end of the game you just knew we weren’t going to score. And we didn’t. In some ways it was reminiscent of watching England play Poland in 1973. Just as then we thought we only had to turn up to win. The German referee fell for all the Astra spoiling tactics and had a shocking game. But so did so many of our team who just weren’t good enough. If you could have seen that coming you could have made a lot of money. Astra were 8/1 with the bookies at the start. Some West Ham fans were fighting each other. The stewards let them get on with it. The crowd were getting very hostile. If only we’d seen more fight from the players, especially in the first half. According to reports Simone Zaza is expected to sign for us on Friday. I wonder if he was watching tonight? Surely a walk in the Olympic Park tonight and guaranteed Europa League group stage qualification. Tonight the nomads of FC Astra Giurgiu are the visitors to the London Stadium for the Europa League Play Off Round second leg match. With the tie finally balanced at a goal apiece from the away leg in Romania it will be an evening high on expectation but no doubt with a drop of typical West Ham nerve-wracking tension thrown in. 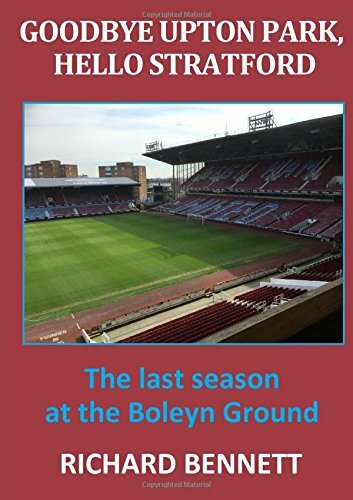 Going in to the game 2-1 down from the first leg it was a night where Sir Trev imperiously glided over the sodden pitch surface; scoring twice as the Hammers raced into a 3-0 lead. Fearing that this lacked the requisite drama, the Germans were gifted a late goal meaning that if they scored again it would be they to go through on the away goals rule. Cue a whistle blowing, nail biting, nervous hopping finale. I fully expect something similar to happen tonight. Cruise into a two goal lead, take the foot off the pedal, concede a sloppy goal, followed by an exhibition of sloppy slapstick defending before scoring a breakaway third in added time. This is our fourth encounter against the current Romanian champions and, to date, we have yet to beat them (2 draws and 1 defeat). I have seen many reports stating that we lost to Astra at the same stage last year but this is not the case – we have progressed a whole round further so far this time around. Romainian champions they may be but I fully expect us to get the win that secures group stage qualification – but then I have been disappointed (and wrong) before. The usual suspects of Cresswell, Carroll, Ayew, Sakho and Feghouli remain absent injured. Masuaku and Lanzini are not registered to play tonight but Dimitri Payet may now be available. Slaven Bilic has suggested that it will be a strong side and it will be a balance between doing what is necessary and keeping fresh legs for Sunday’s trip to the Etihad. We have a German referee tonight in the shape of Manuel Grafe from Berlin. Grafe was the ref for the goalless Euro 2012 qualifier between England and Montenegro where he was ‘blasted’ by Wayne Rooney for giving England’s players “no protection whatsoever” – and for not awarding any penalties.